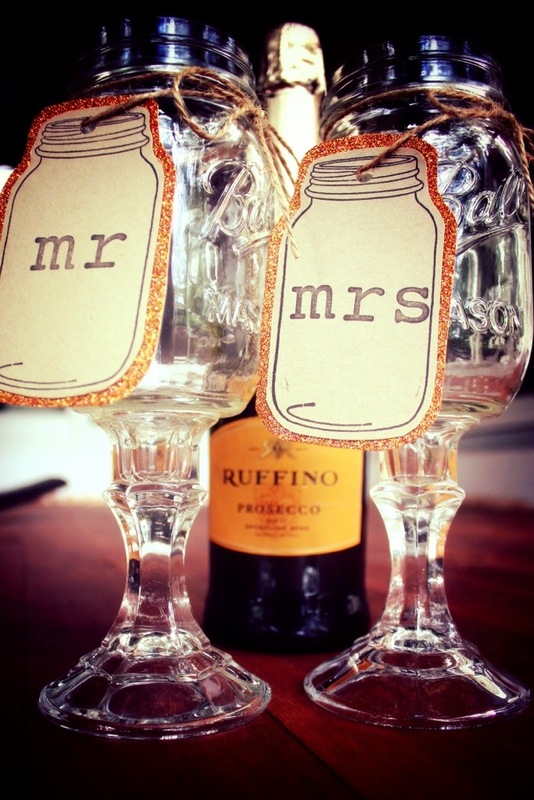 Here is the third installment of the Mason Jar Love projects. I decided the redneck wine glasses would be perfect for her. Her wedding will be next October, and it sounds like the perfect mix of class and country (I’m talking hay bales and ivory velvet pillows.) Like, Billy Ray Cyrus in a tuxedo. I call it Bumpkin Chic. So, these wine glasses were the perfect addition. The tools needed to make them were incredibly cheap and easy. I feel it’s almost a crime for what ONE of these sell for in the store. All I needed were 2 mason jars, e6000 craft glue, and candlesticks from the dollar store. Seriously. That’s it. 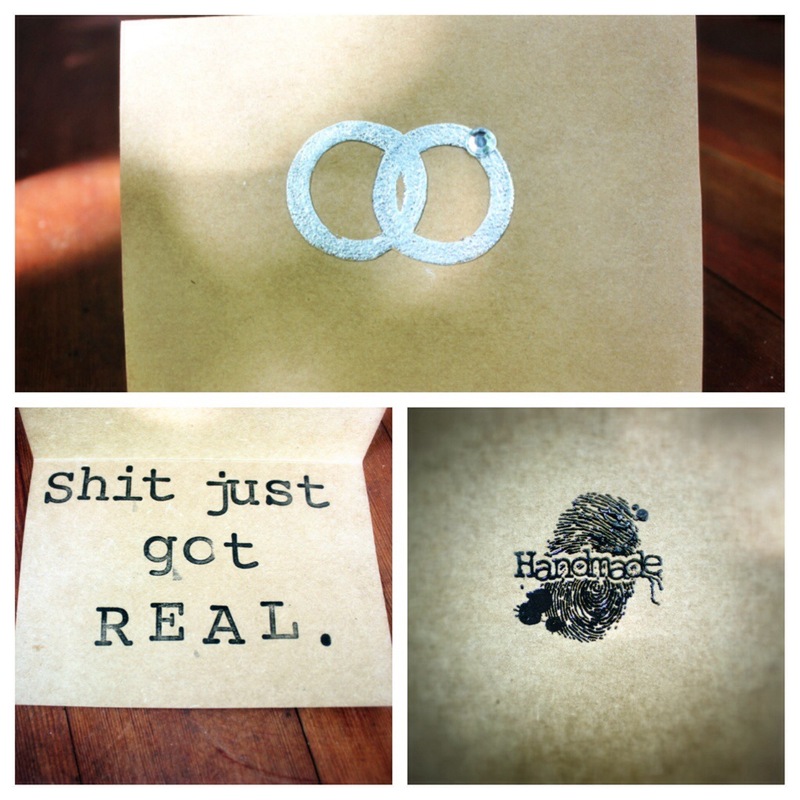 I threw in a bottle of Prosecco, and a hand stamped gift bag and a card, and I was good to go! She loved it, and was quite impressed that it was handmade. And here it is: the finished project. 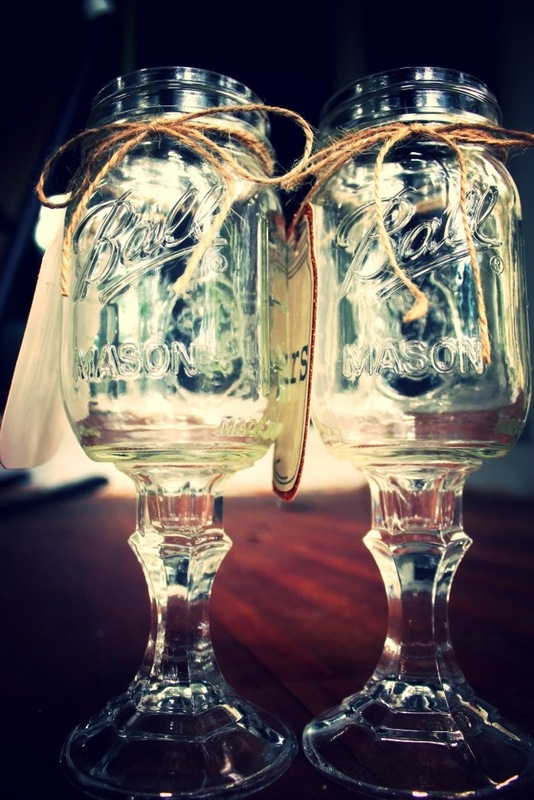 Posted in Something BlueTagged country, DIY, engagement, handmade, mason jar, rustic, stamping, Wine, wine glassBookmark the permalink.